Help! 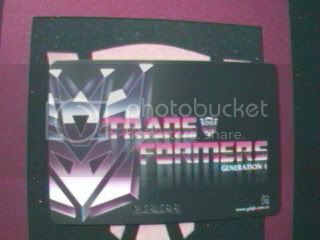 Info about rerelease of G1 DVDs? Discussion in 'Transformers General Discussion' started by blaster2001, Jan 17, 2006. 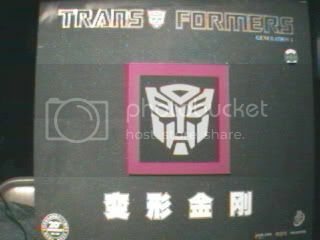 I was wondering if anyone knows any info regarding a future rerelease of G1 DVDs? Unfortunately, I missed out on them when they were on store shelves and the transfan inside of me has been in dire pain ever since. I've looked at trying to buy them online but they're so expensive now...Didn't Sony buy the rights from Rhino? I'm guessing there's a possiblity of them rereleasing them to coincide with the movie release, but does anyone know anything concrete? Either way, I'm pretty sure the reason the sets are so expensive is due to the fact they're a one time thing. I could be wrong though, I usually am. The price is high now, because the DVDs are becoming something of a rarety. Rhino had the rights to the Tfs liscence, but Sony now has it. So it's up to them whether or not re-releasing those sets. I'd say it's highly likely we'll see Sony release either volume sets, best-ofs, or season box sets of G1 around the time the live-action TF movie hits theaters. I'm trying to remain hopeful that Sony will offer a more appealing packaging design and better bonus content than Rhino did. And I still hate Rhino's "enhanced SFX". Did like their CGI-animated menus though. The UK releases had much more effort put into the packaging design and bonus content, but without a Region-free player, you're SOOL. I bought all but one of my G1 DVD box sets pre-owned between both stores, and for less than half retail. And unbelievably, they still had all the bonus insert materials. I got BW S3 from MovieStop too -- it was priced at $12.99, but I got it for free on their Saturday "Buy 2 preowned Kids/Family Titles, Get 1 Free" sale. 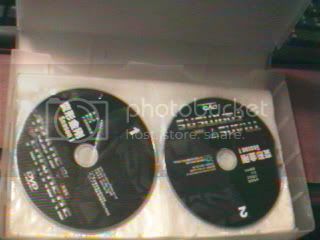 Also check CD Warehouse: http://cdwarehouse.com/ -- I bought one G1 box set from them too, for only $20. I haven't looked in a while, but http://www.deepdiscountdvd.com had them at the cheapest price on the net with free shipping. Seems like some of them may have been sold out last time I was there. Who knows about now... It might be worth checking out. **EDIT** Just went and checked for you. They still got the Beast Wars sets, but the G1 sets are gone. The (Chinese?) box set are seriously all you need. And it's great. 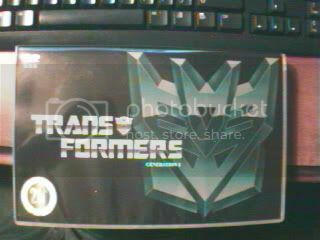 It has all the G1 episodes (MTMTE-Rebirth) and the Movie. And yes, they all have the original voices. It's also a LOT cheaper then buying the seperate box sets. 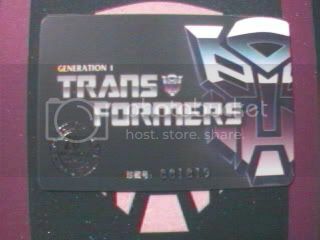 I don't know if they still do, but mine came with RM Prime, 3 TF cards, a nice plastic card of authenticity. And best of all: The coolest paper bag EVER. They can be found at your local comic book store. Anyone who lives in Kitchener, head out to Gemini Jetpack. I think they still have seasons 1, 1 and 2, and 3. Pick up the region 4 Madman sets. i just recently felt the urge to complete my collection and didn't realize they were really out of print. so i got my S1 box set at a half price books for 35 bucks... i know rhino isn't the best available version but i wanted to complete the set i had. Try Amazon to see if anyone is selling them used at a decent price. Overstock.com and DeepDiscountDVD might be two other places to try as well. Let us know when/if you find your DVDs anywhere Shaun. There's also a place called bestbookbuys.com that has DVDs too, but it lets you compare new and used prices of the DVDs from several places on the web so you can compare and contrast prices. What in my post gave you the impression I didn't already own the set or was looking? I had all the sets minus season 3/4 and was kind of bummed until my friend found it for me, brand new and sealed at his local Wherehouse Music a few weeks ago. In my personal opinion.I think it's just a matter of Sony seizing what they perceived to be a hot property. The show will almost certainly get released again someday by somebody. Maybe on DVD, maybe on some future format. But there's clearly a market for them, and as long as Transformers doesn't take a dive as a franchise it's a little foolish to assume the Rhino DVDs will be the last time anyone tries to make money off of it, especially given that they are out of print. Hell, The Twilight Zone had a run twice as long as Transformers and it has been released in its entirity FOUR TIMES on DVD. If the movie does okay, a huge wave of nostalgia is going to wash over the country, and whoever has the G1 show license at that time will probably get dollar signs in their eyes. Update: I was at MovieStop yesterday and they had TF S3/P1 preowned for only $24. 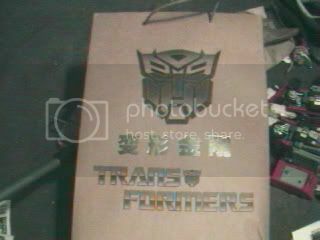 They also had the TF Armada box set for about $30 (if you go for that sort of thing). 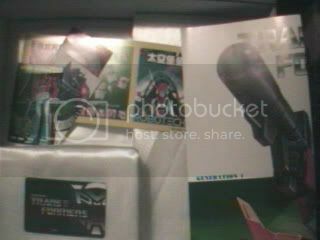 No doubt other MovieStop locations have some TF DVD box sets in stock too. I must caution against buying pre-owned online, especially from an amazon dealer or ebay seller. Unless you can get a 100% guarantee -- in writing -- of a full refund (including shipping) if the product is in any way damaged or unplayable and/or doesn't include additional materials (like inserts, slipcovers, etc. ), don't buy it. Buying used online is literally buying blind: you have no way to inspect the product before your purchase. And I thought Blockbuster closed all their Wherehouse locations. Just did a little research and it appears that they were bought out by Trans World, who also owns FYE and Coconuts Music & Movies. Also found that there are two Wherehouse locations in the Atlanta area. Thanks for mentioning this -- I love shopping at places that sell pre-owned music and DVDs.